Merry Music MenNewest singing combine on WLW is the Coleman Brothers who joined the station late in November. They are heard on the "Circle Arrow Show," aired Sundays at 10:30 a.m., EST. 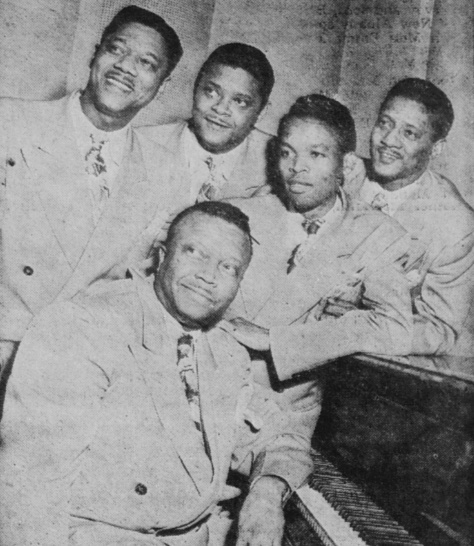 Reading from left to right: Lander, Russell, Eldridge, and Wallace Coleman. Seated at the piano is Millard Thomas, accompanist.